Jeffrey Pullicino (Orlando), executive chairman of the Malta Council for Science and Technology, is at present on the ferry to Pozzallo with his state-funded car, using his state-funded petrol allowance, and taking with him his state-funded girlfriend, Lara Boffa. They are accompanied by Malta Enterprise consultant and former journalist Karl Stagno Navarra, who was put on the state payroll by the incoming Labour government in 2013 in return for allegedly giving the Labour Party secretly recorded private conversations involving key figures in the Nationalist Party. The Malta Enterprise sinecure is a financial lifeline for Stagno Navarra, who has been chased by creditors and loan sharks for several years, and who doesn’t even pay maintenance for the child he has with his former wife. He used to work for the Nationalist Party media several years ago but was quietly let go amid suspicions that he had misused a party cheque-book. After some time spent working for Al Jazeera as a stringer, he eventually found employment with Media Today, writing for its newspaper Malta Today, but was quietly let go by his employers there too. 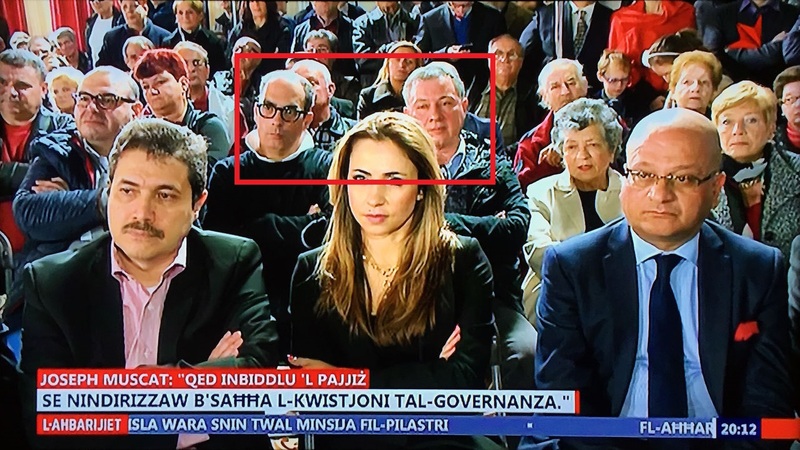 Karl Stagno Navarra’s most recent public appearance was sitting side by side with Jeffrey Pullicino (Orlando) at the Orpheum Theatre in Gzira during the Labour Party’s manifestation of support for disgraced former parliamentary secretary Michael Falzon.